A trade war between the United States and China looks like it’s already begun. Indeed, government run People’s Daily even agrees. 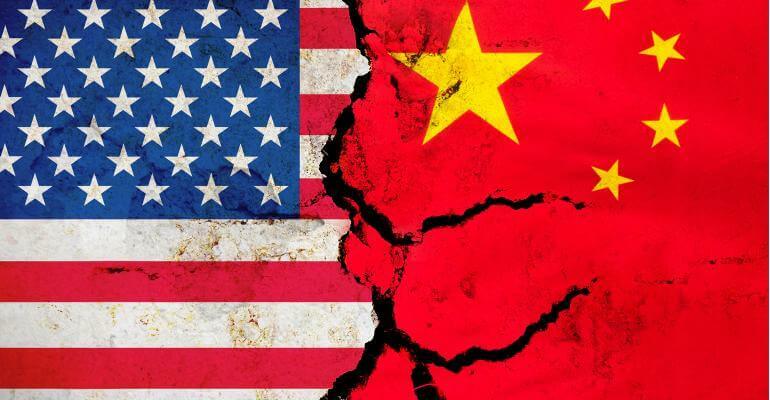 The US-China trade war’s “official start” was announced through the most widely read newspaper in Asia. Investors sometimes buy international property and stocks to guard against recession. That usually works well outside of a global downturn. However, a trade war between the world’s two largest economies would affect Latin America, Europe, and pretty much everywhere else too. Because of this, many people are wondering where they should invest during a trade war between China and the US. Especially since we’re eight years into the longest bull market in modern history. Uncorrelated investments now seem like a great idea not just for geopolitical reasons, but cyclical ones as well. Here’s three assets which should outperform during a US-China trade war and survive any resulting fallout. There’s a reason why Chinese industry is investing all across Sub-Saharan Africa and Southeast Asia. It’s because they can only stay competitive by relocating to cheaper countries. Even aside from global trade tensions, rising utility and labor costs make Chinese goods prohibitively expensive nowadays. Some emerging economies are well-positioned to beat China at its own game though. For example, taxes and labor in places like Vietnam and Indonesia cost a fraction of their larger neighbor. The government also gives generous incentives while regulations are incredibly lax compared to China. Not to mention Vietnam and Indonesia boast wonderful demographics and aren’t susceptible to a trade war right now. Indonesia will soon be the largest auto maker in Asia. Multinational giants are already investing heavily here. Southeast Asia stands to gain the most from China’s loss since they’re right next door. The region is nearby existing supply lines which makes it easier and less costly to shift manufacturing away from China. India and parts of Africa will profit from these trends as well. Yet skilled labor and technology in these regions lag far behind Southeast Asia. Taxes are generally higher in Africa/India while doing business is harder. China’s aging population is one reason its economy is now slowing down and susceptible to a trade war in the first place. Despite growing from 800 million people in 1970 to almost 1.4 billion today, fertility rates are falling while similar trends are worrying. China’s population will begin plummeting very soon. Many of China’s problems are self-inflicted and caused by their infamous one-child policy which ended in 2016. For example, the reversal will be especially sharp because of an artificially high male-to-female ratio. Population decline in China will start around 2030. Why are strong demographics important? Factors like population growth naturally lead to stronger GDP growth. 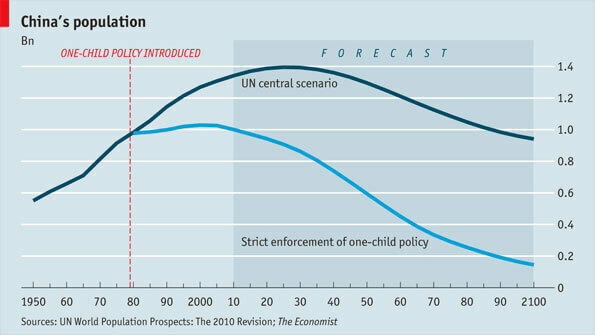 Similarly, a young population is far more efficient and less reliant on public services like pensions and healthcare. Most of Europe and the so-called western world also have worrying demographic trends. Thankfully, not everywhere faces declining birth rates, falling productivity, and a rising tax burden. Some countries like Bangladesh and Vietnam will see their population nearly double by 2050. Others like Singapore and Hong Kong have a limited amount of space that will increase in value as residents demand it. Central properties in large, rapidly expanding cities should outperform over the long-term. There’s only so much supply of prime real estate. Luxury property often rides out recessions too since the local wealthy buy up these assets as a storage of wealth. Our world is now interconnected. You can now find Starbucks, IKEA, and 7-Eleven on practically all corners of the planet from Bangkok to Boston. That’s a good thing in most ways. However, it also means a crisis starting in America, China, Europe or any other major economy will have global effects. Very few places are safe from an economic downturn anymore. Frontier markets are rare exceptions. These rapidly-growing nations are less correlated with the rest of the global economy. Demographics and fundamentals have far greater importance than trade and politics in frontier markets. There’s lots of obvious opportunities in frontier markets. Basic services you may take for granted often don’t even exist. 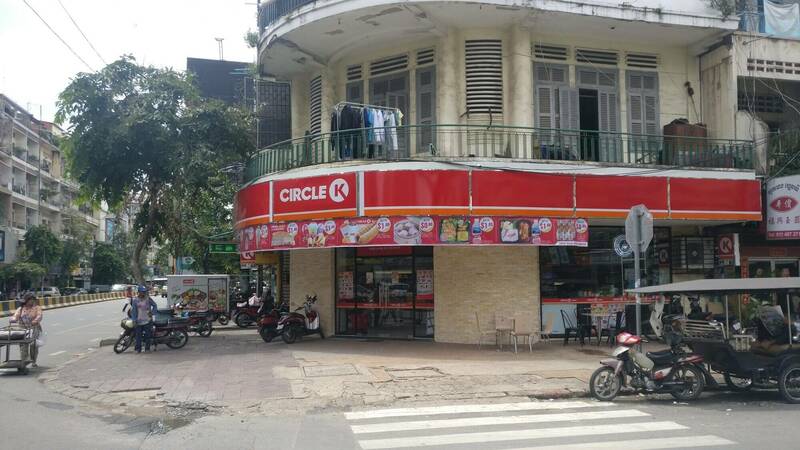 For example, Cambodia’s first quality convenience stores just began opening in early 2018. Cambodia and Myanmar don’t worry about whether McDonald’s will keep investing in them because McDonald’s doesn’t operate in these countries yet. Of course, they’ll certainly get an economic boost when such large multinationals do inevitably arrive. You hopefully now have an idea of how to invest during a recession or global trade war. The question is: how do you buy international property and stocks? It depends entirely on where you’re investing. For example, you must visit Singapore to buy property there. You can probably buy Vietnam stocks through an ETF in your home country, although it might be in your best interest to open a brokerage account in Vietnam. And which country should you invest in? There isn’t a “one-size-fits-all” solution and everyone has a unique scenario. You might want long-term growth, recurring income, asset preservation, or perhaps something completely different. Either way, consider exploring new territory for your next investment. Not many places will be safe from a US-China trade war. But you still have a few solid options.